Why is this Iranian regime change cult ( Mojahedin-e Khalq) building a base … in Albania? In early September, Albanian Foreign Minister Ditmir Bushati travelled to Israel to participate in a counterterrorism summit and some nauseating photo ops with an Israeli cast of characters, including Prime Minister Benjamin Netanyahu, with whom Bushati joked around a bit before getting down to terror-fighting and other business. Israel, of course, has already conspicuously advertised the hypocrisy of its self-appointment to the counterterrorist vanguard by, inter alia, regularly terrorising Palestinians. 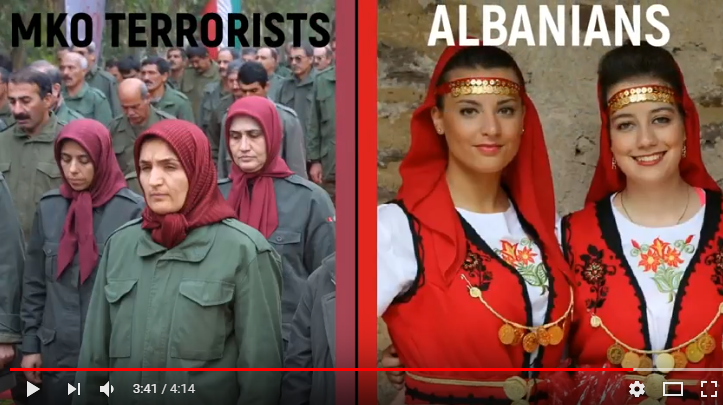 Albania’s counterterrorism credentials, while less well-known, are also pretty dubious: the Balkan nation currently hosts the headquarters of the Iranian terrorist cult known as the Mojahedin-e Khalq, or MEK, dedicated to violent regime change in Iran. 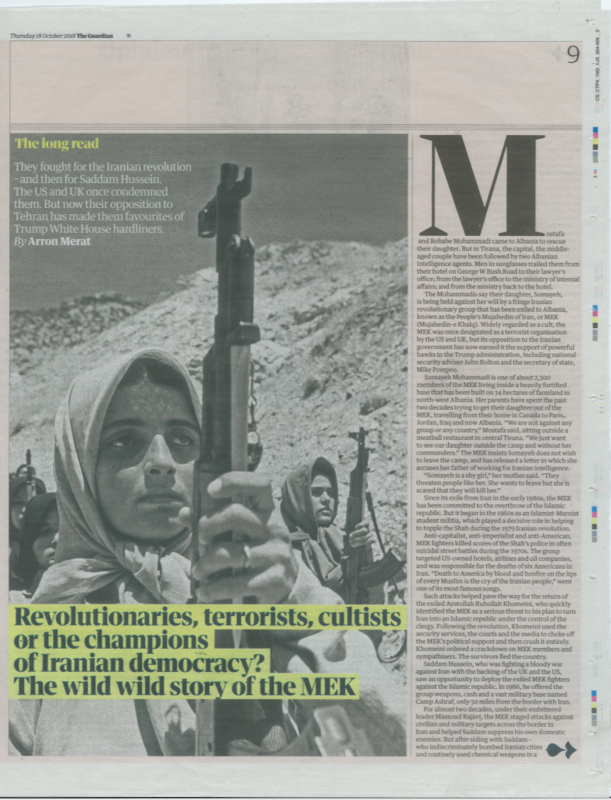 Delisted as a terrorist organisation in 2012 by the United States – another entity well-versed in the art of terror disguised as counterterror – the MEK is almost comprehensively reviled within Iran on account of its history of allying with Saddam Hussein in the Iran-Iraq war of the 1980s, as well as numerous other attacks and assassinations on Iranian soil. The group’s near-total marginalisation notwithstanding, their regime change message is most welcome in Washington – and indeed was so even before the terror delisting. Between 2013 and 2016, at the behest of the US, several thousand MEK members were relocated from their former base in Iraq to Albania. Now, the MEK presides over a sprawling, heavily fortified camp not far from the Albanian capital of Tirana. But why Albania? Simply put, it’s not that difficult for the global superpower to twist the arm of a small and often overlooked country that was, until the 1990s, isolated on the world stage, and that is now eager to make up for lost time by ingratiating itself with empire. 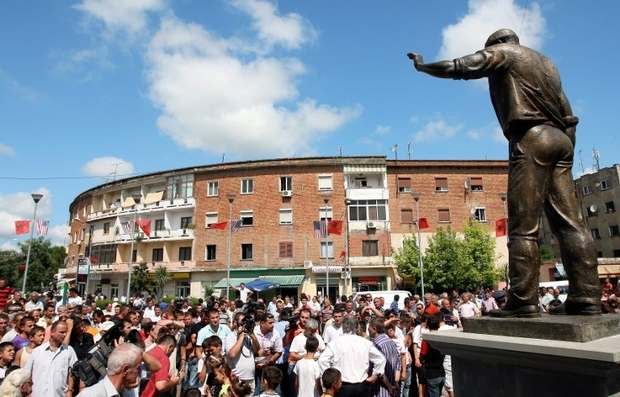 For proof of eagerness, one need look no further than Tirana’s George W Bush Street (which I myself have had the dubious honour of visiting), the George W Bush statue in the village of Fushe-Kruje, or the Hillary Clinton statue in Sarande. The city of Kamez boasts a boulevard named after US President Donald Trump, who has also been named an honorary citizen – a totally logical move in a Muslim-majority country vis-a-vis a Muslim-banning US president. Late Israeli war criminal Shimon Peres has managed to occupy some urban Albanian space, too, with a memorial unveiled in Tirana this year. 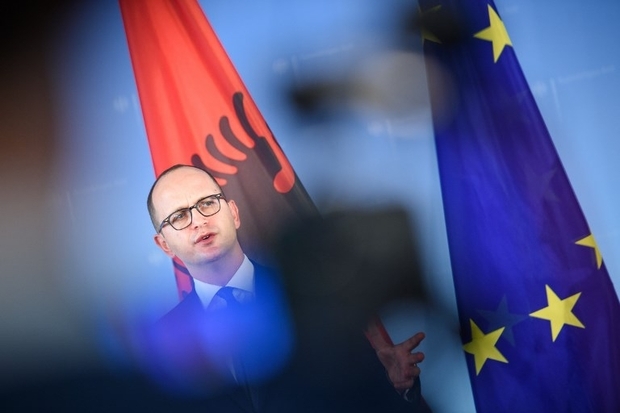 In the past, Albania also contributed to the wars in Afghanistan and Iraq, as well as to America’s extraordinary rendition schemes, and was described as a “dumping ground” for victims released from the US offshore penal colony known as Guantanamo Bay. 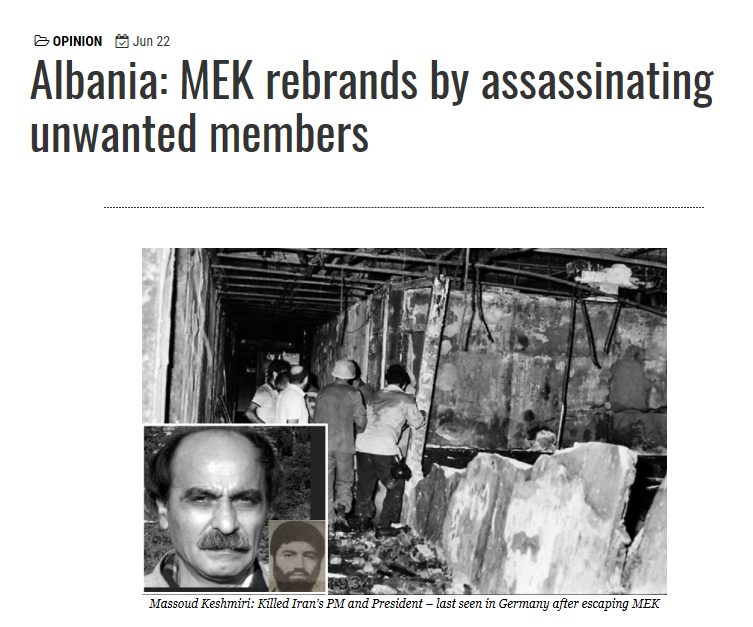 In short, it’s not enormously shocking that Albania has offered itself up as the MEK’s permanent address – particularly given the MEK’s special place in the cold heart of the powerful US-Israeli-Saudi axis, the final component of which is rumoured to be providing the group with copious funds. And with the advent of the Trump administration, it seems the MEK is getting a new lease on life. 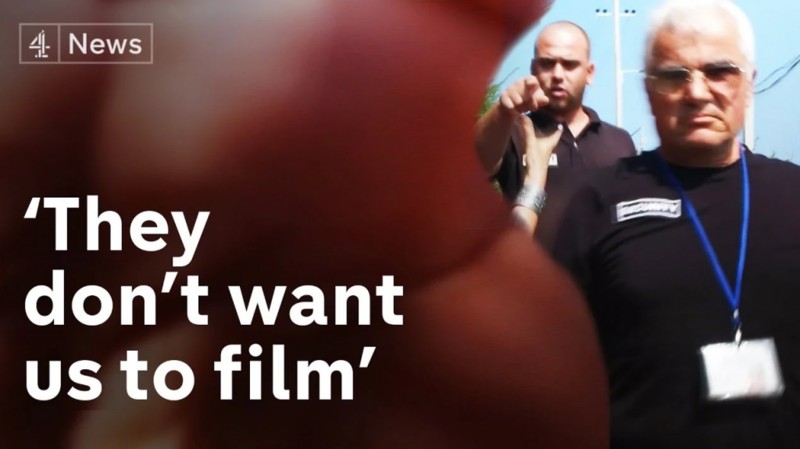 In a September report for Channel 4 News, international editor Lindsey Hilsum and her crew paid a visit to the rapidly expanding MEK camp outside Tirana, where they were immediately intercepted by security guards, accused of being Iranian government spies and terrorists, and forcibly prevented from filming. 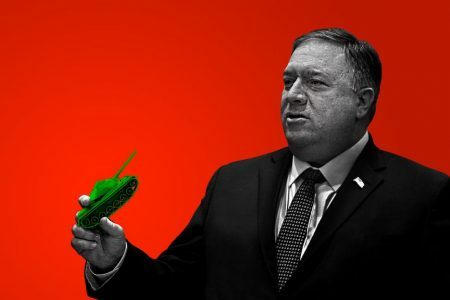 Hilsum noted that, while various US politicians have long been MEK supporters – unsurprisingly, given the MEK’s penchant for hurling obscene amounts of money at people – “now, for the first time, they can effectively provide a hotline to the Oval Office”. The video report provides relevant footage of Trump-men at previous MEK rallies – among them John “Bomb Iran” Bolton, who prior to assuming the post of national security adviser, appeared at a pro-MEK function in Albania last year with the wildly applauded opinion that “the declared policy of the United States should be regime change in Iran”. Trump lawyer Rudy Giuliani, another famous collector of MEK payments, is also known for extolling the MEK as the “the vision for the future of Iran” and hollering that “the mullahs must go, the ayatollah must go, and they must be replaced by a democratic government which [MEK leader Maryam] Rajavi represents”. Leaving aside the minor issue that no government can be democratic in Iran if the Iranian people don’t support it, the group’s documented traditions of imprisoning, torturing, and otherwise abusing members who veer from the MEK-dictated path would seem to indicate that democracy is not exactly the name of the game. The MEK’s policy of mandatory celibacy also raises the question of what sort of “vision for the future” is logistically possible when people can’t, you know, reproduce. An MEK defector interviewed by Hilsum in Albania told her of a certain routine, according to which members of the organisation were required to write down any remotely sexual thoughts that dared to enter their minds during the day – and to then publicly confess them to colleagues and commanders. This same man confirmed his service in the camp as a “keyboard warrior”, posting fake content on Twitter to exaggerate Rajavi’s and the MEK’s popularity and power. 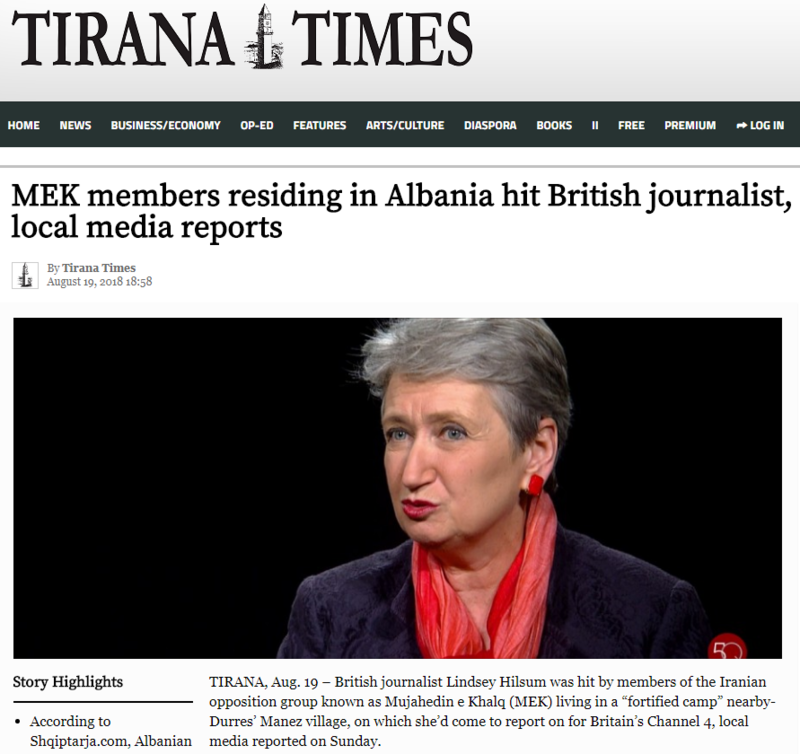 Later in September, the UK’s Independent published its own investigation into the MEK – the “darling of Washington” that has “created a state within a state in Albania” – also addressing the group’s generally repressive nature and the existence in the camp of what amounts to a Twitter troll factory. 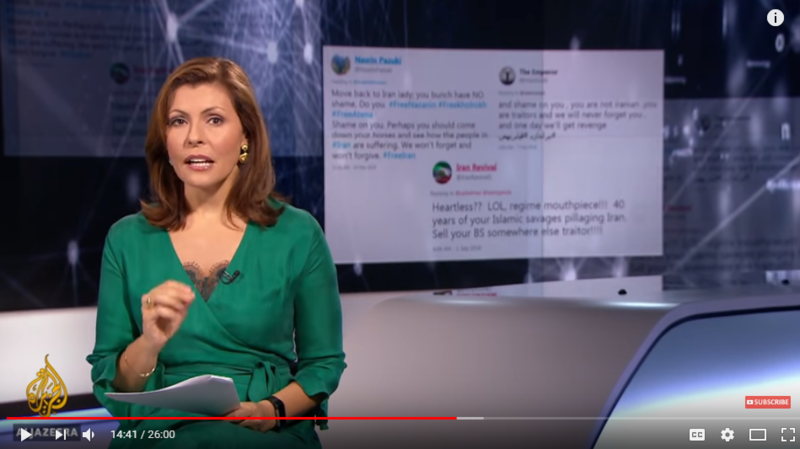 Al Jazeera, meanwhile, took an in-depth look at the expansive “troll farm” facility that has enabled the MEK to engage in “social media manipulation on an industrial scale”. Obviously, the wild proliferation of fake accounts committed to demonising the Iranian government serves not only to warp beyond recognition the reality on the ground in Iran, but also to ultimately justify whatever form of “democracy” the US feels should be violently installed there. 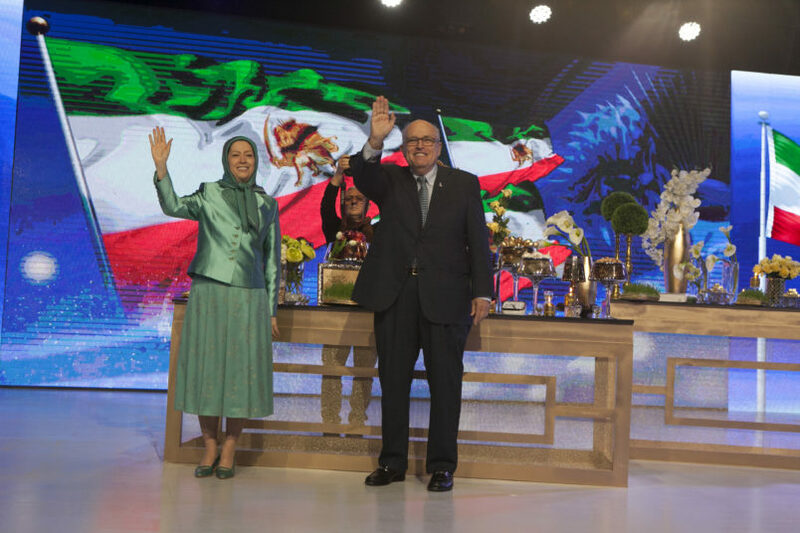 In typically professional fashion, the MEK accused Channel 4 and Al Jazeera of being “mullah-linked journos” operating undercover and conspiring with the Iranian regime to attack the “Iranian resistance group”. Not everyone, however, has been persona non grata at MEK headquarters; see, for example, a September article in the Washington Times in which one L Todd Wood – a former US military pilot-turned-Wall Street bond trader – gushes over his invitation to meet the “Iranian freedom fighters” at their current residence. The MEK, he reports, “have given their lives for an idea: a free Iran. 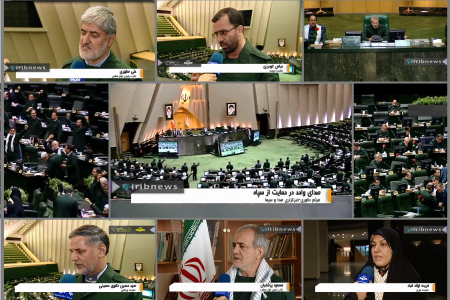 Each and every one of them spoke about their people, and how they wanted a better life for the Iranian population”. Funny, then, that out of all of the Iranians I’ve personally spoken to in Iran proper – even those who vehemently denounce the current government – I’ve never once heard the suggestion that life may somehow be better under a terrorist cult. As the MEK’s pernicious rhetoric gets endorsed and amplified by thousands of Twitter bots – in addition to US officials – the dissemination of truth has apparently become the jurisdiction of “Iranian agents” and “mullah-linked journos”. In that case, we’re going to need all the Iranian agents we can get. – Belen Fernandez is the author of The Imperial Messenger: Thomas Friedman at Work, published by Verso. She is a contributing editor at Jacobin magazine. 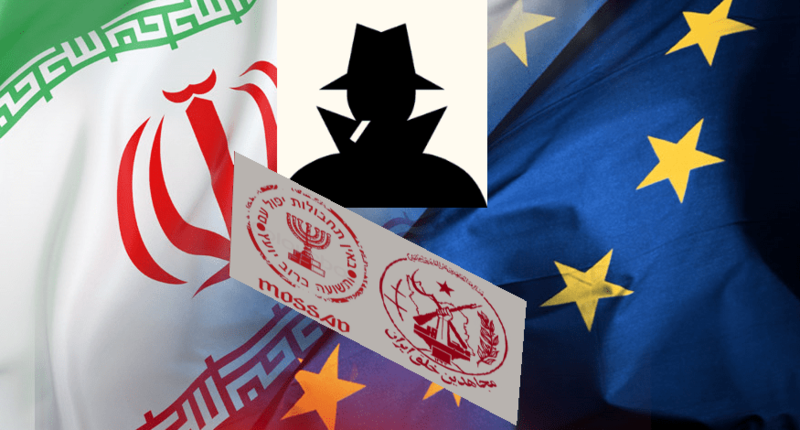 A recent report from The Guardian has uncovered systematic human rights abuse in the Albanian camp of the Mojahedin-e-Khalq (MEK), a former Iranian terrorist organization exiled from Iraq to Albania. 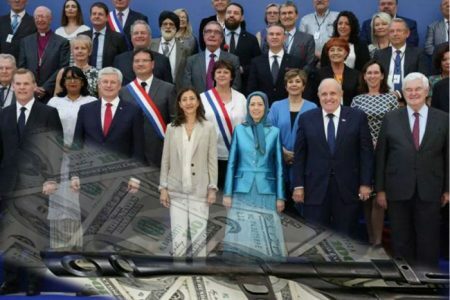 As Exit has reported over the last years, multiple high-ranking US politicians have visited the MEK in Albania, as US administration’s interest in overturning the Iranian regime have grown. 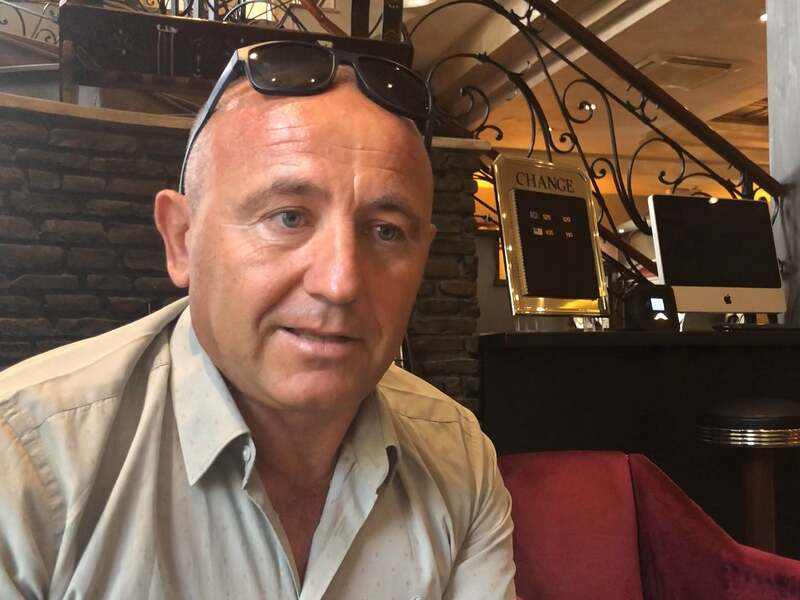 Ylli Zyla, who served as head of Albanian military intelligence from 2008 to 2012, accused the MEK of violating Albanian law. “Members of this organisation live in Albania as hostages,” he told me. 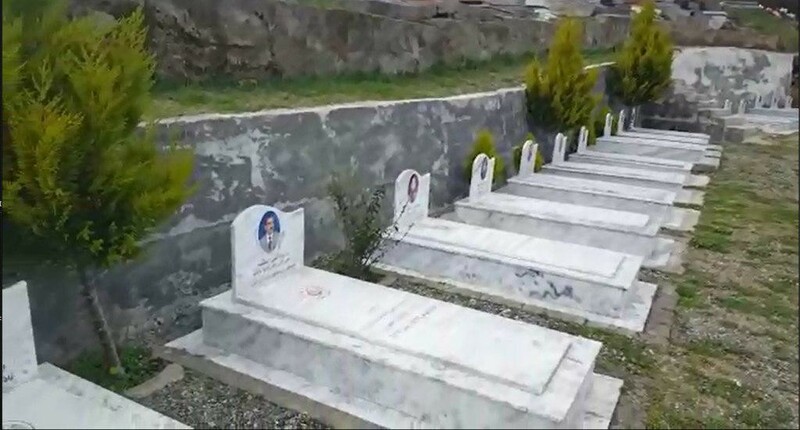 Its camp, he said, was beyond the jurisdiction of Albanian police and “extraordinary psychological violence and threats of murder” took place inside. Full protection of human rights is one of the five key conditions for opening EU accession negotiations. It seems that, once again, the Albanian government fails to honor its obligations in that regard. Last February, the occhidella guerra reported the transfer of 3,500 mujahideen to Albania. The Mek was previously kept at a base near Baghdad (Liberty Camp). Among other things, it referred to their new headquarters being constructed in Manez, near Durre. Today there are further evidence that confirm this project and much more. But let’s go in order. 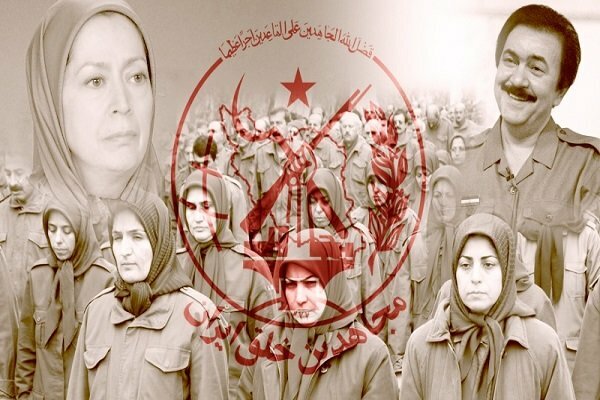 The Mek or Mojahedin Khalq Organisation of Iran is an organization which was born in 1963 in Iran with the aim of opposing the Western influence in the country and fighting the regime of the Shah. 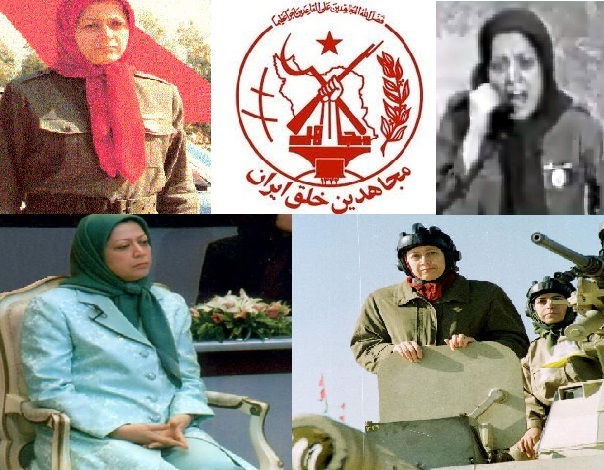 In 1979 the Mek participated in the revolution led by Khomeini but the ideology, a crossroads of Marxism, feminism and Islamism, clashed with that of the Ayatollahs. In 1981 the Mek moved to Paris where Massoud Rajavi (The leader) founded his headquarters and five years later moved to Camp Ashraf, north of Baghdad, from where he supported and joined the war of Saddam Hussein against Iran. 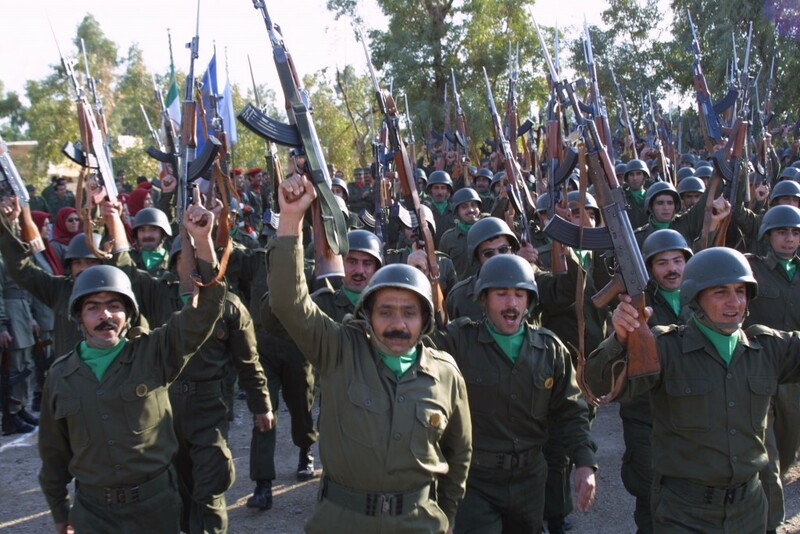 MEK also engaged in the repression of the Kurds on behalf of Saddam. 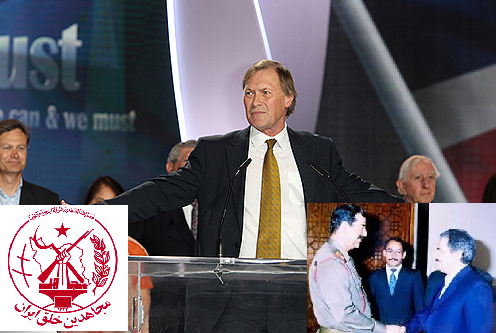 In 2003 the Mek was disarmed by the Americans and moved to Camp Liberty. The Mek continued to play a role in the political and diplomatic activities against Teheran and continues to do so today. Previously, the organization was blacklisted not only by Iran and Iraq, but also by the European Union, Britain, the US and Canada, only to be “cleared” between 2008 and 2012. A New York Times article by September 21, 2012 illustrated how the then Secretary of State, Hillary Clinton, had decided to clear the Mek , making it remove from the “black list” to be able to then put it away from the reach of Teheran, in a country willing to welcome them, in this Albania. 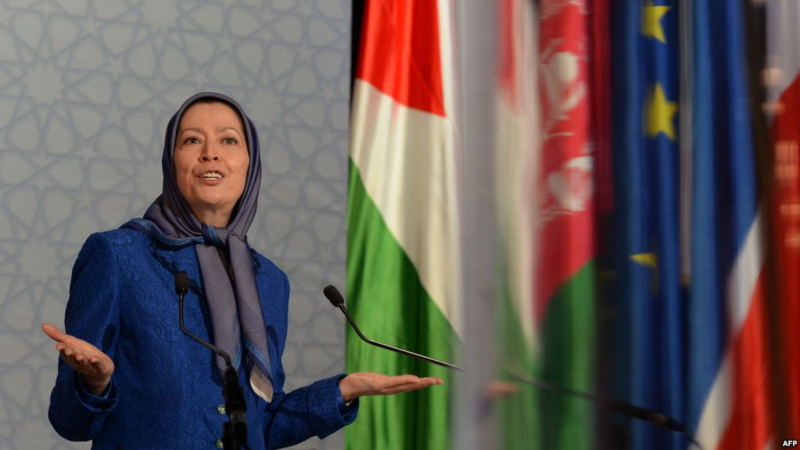 The goal is more than evident: use the Mek to support a regime change in Tehran. But why in Albania? What is a “pledge” to pay for entry into Europe and NATO? 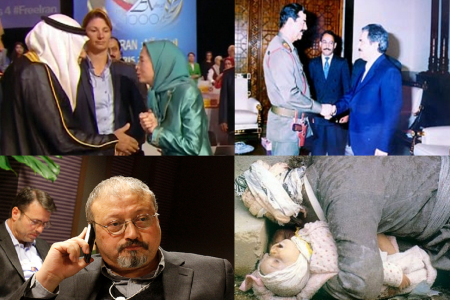 Today it is Maryam Rajavi who leads the Mek after the mysterious disappearance of her husband Massoud that coincides with the American invasion of Iraq in 2003. 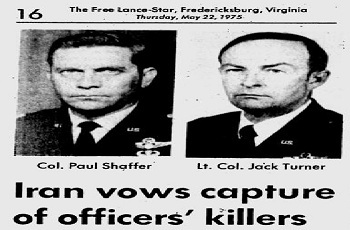 Some sources speak of a possible death while others say that the former leader is in hiding to escape the agents of Tehran. 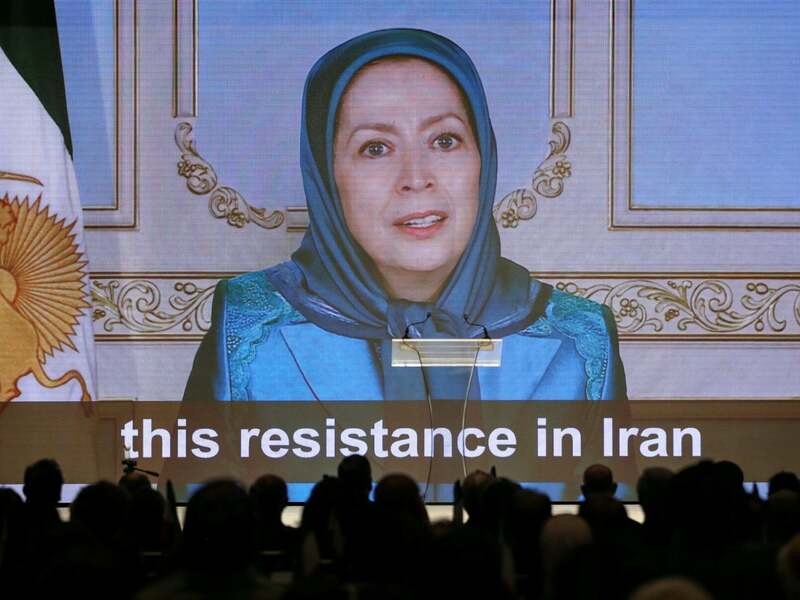 The Mek has received support from various international political figures including former New York mayor Rudolph Giuliani, US ambassador to the United Nations John Bolton and Emma Bonino as vice-president of the Senate in June 2012. The New York Times noted that several members of Congress had become staunch supporters of the movement that, if once Marxist-Islamist, then changed its mind by transforming its own struggle and becoming the main organized movement against the Iranian theocracy. According to the New York newspaper, among the supporters of the Mek there would be R. James Woolsey and Porter J. Goss, former directors of the CIA; Louis J. Freeh, former director of the FBI; Tom Ridge, former Secretary of Homeland Security under President George W. Bush; Attorney General Michael B. Mukasey and national security advisor, General James L. Jones, operating under the Obama administration. In the last year there have been several positions in favor of Mek by members of the national and international political scene. 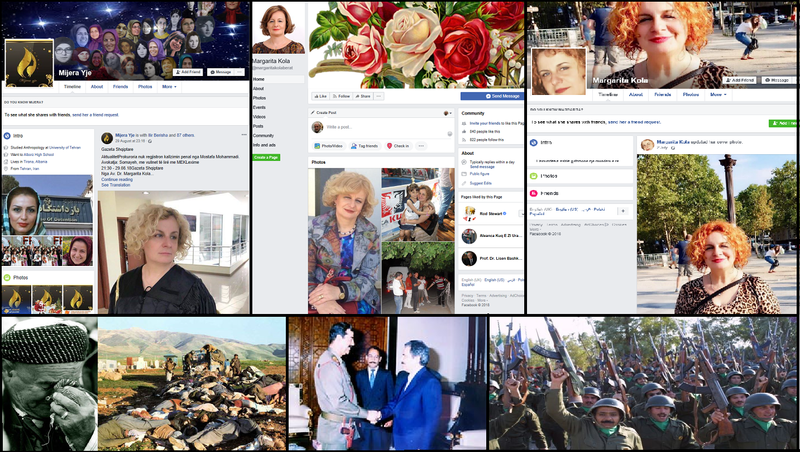 In mid-September an official delegation of the Italian Radical Party and the “Hands off Cain” association visited the mujahidin headquarters in Albania. 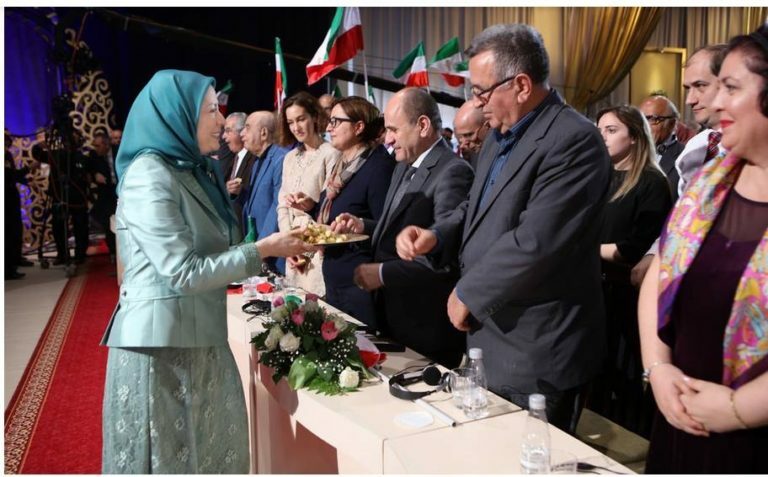 The delegation included Elisabetta Zamparutti, Sergio D’Elia, Rita Bernardini, Mattia Moro, Maria Antonietta and Luca Coscioni; Albanian sources claim that the members of the Mek would provide an account of the violations of human rights implemented by the regime in Tehran. Last June 30, it was the former Minister of Foreign Affairs of the Monti government, Giulio Terzi, who spoke at a meeting of the Mek where, in front of thousands of anti-Tehran protesters, he announced his “unconditional support to the Mek”, defining his militants “freedom fighters” and saying that “a large part of Italian society is convinced that being on your side means being on the right side of history”. 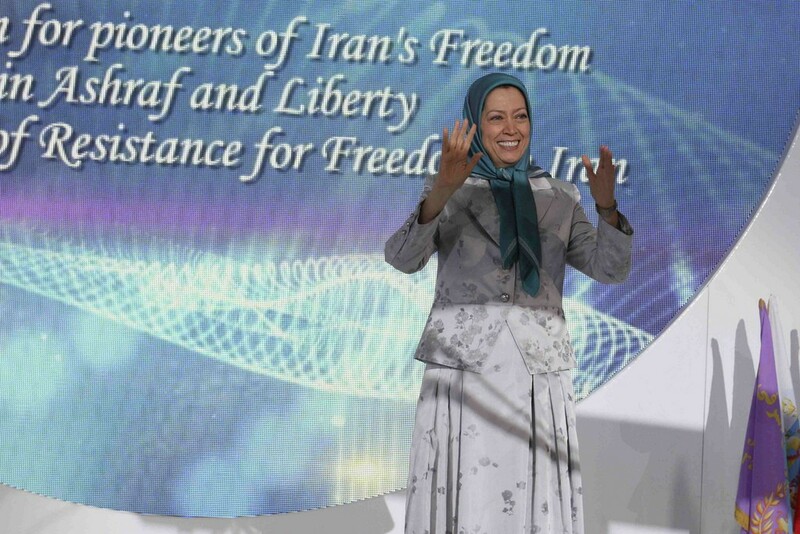 The whole speech was published on the Mek website and can be viewedhere. Even the former mayor of New York, Rudolph Giuliani, in 2018 expressed himself at least on a couple of occasions in favour of the Mek with statements like: “The Iranian people have had enough of this regime that will be overthrown … We have no doubt that the Mek coalition can cope with this regime “. 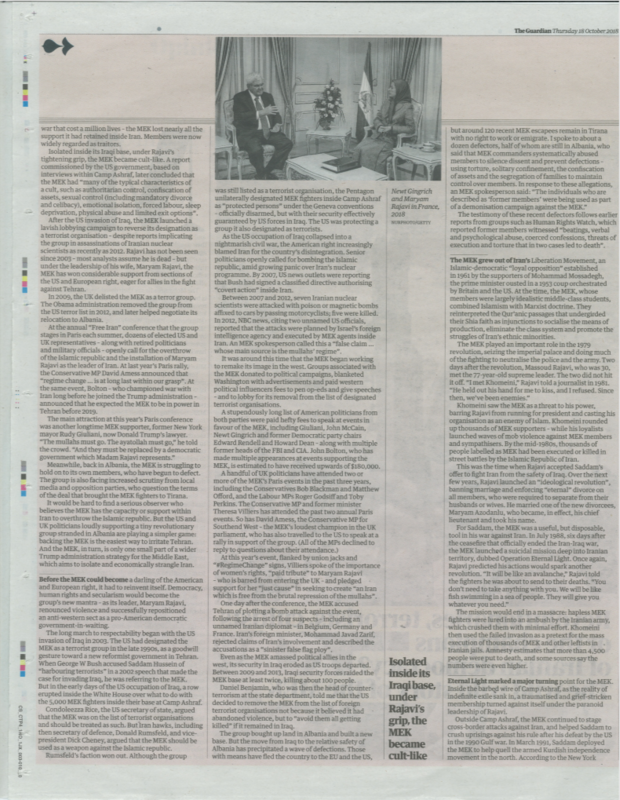 And again: “The mullahs have to leave, the ayatollahs have to leave and must be replaced by a democratic government that Mrs. Rajavi represents”, as reported by the Guardian. In short, yet another attempt to overthrow the government to export “democracy”, a film already seen and revised. 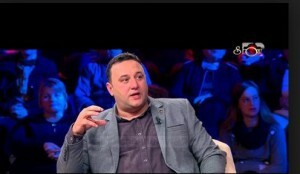 Last September 26, the Albanian journalist Kastriot Myftaraj, during the television program “Ju flet Moska“, had criticized the recent invocations to the uprising in Iran by the leader of the Mek, Maryam Rajavi, bringing up the article 221 of the Albanian penal code that punishes incitement to insurrection with penalties ranging from 15 years upwards. Article 265 b / c of the Albanian penal code which prohibits involvement in military operations and violent actions in foreign countries should also be taken into consideration. 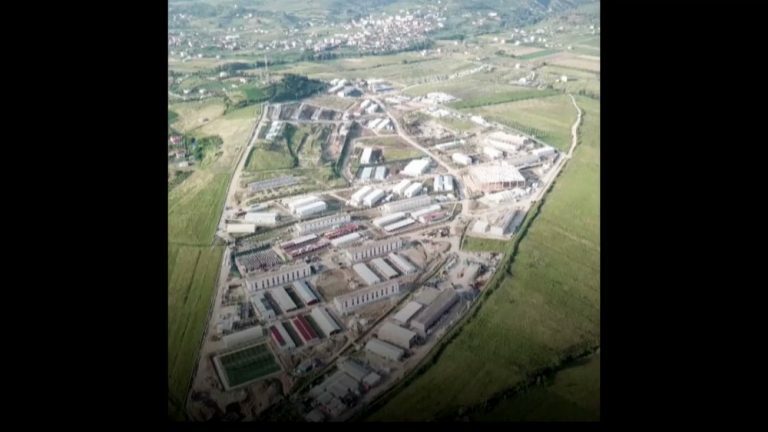 Numerous international sources have documented the presence of a large complex near the Albanian village of Manez, which serves as the main base for the Mek, a complex that has already been inhabited even though it is still being completed. Several local reporters have witnessed the presence of private armed guards outside the complex, a barrier and further unarmed guards inside. “The Council of the Territorial Organization (Keshilli i Rregullimit te Territorit) is responsible for issuing permits for the construction of public works and private buildings (factories, hotels, schools, roads, etc.). This Council had published a list of permits issued for a series of works and among them there was one against an NGO called F.A.R.A. The permit was dated 16 October 2017 and indicated the authorization for “a residential complex and services for the Iranian community in Albania”. At that point I investigated this F.A.R.A that, strangely and contrary to the Albanian law, was not registered with the Tax Office and did not even have a VAT number, which is prohibited in Albania. I then continued the investigation at the town planning office of the town of Durres (which I know very well having lived here for 52 years); there they showed me a written request from the F.A.R.A. in which permission was requested for the creation of a building site (fence, water connections, electricity, containers, etc.) and it emerged that the Municipality had not issued any permit. The letter of request did not have a header, there was no address or telephone number. At this point I went to Manez (in the first week of November 2017) to see what was happening and I found myself in front of a finished fence, an already installed electricity grid, and some channels under construction, for the water network. There was also a container with offices inside the fence. Around the yard there were guards and also three policemen with the uniform of the State Police “. The site would have been located precisely between the villages of Kulles and Manez e-Vieter, with entrance on the Rruga Lalezit road and the complex there are several aerial images andfilms. 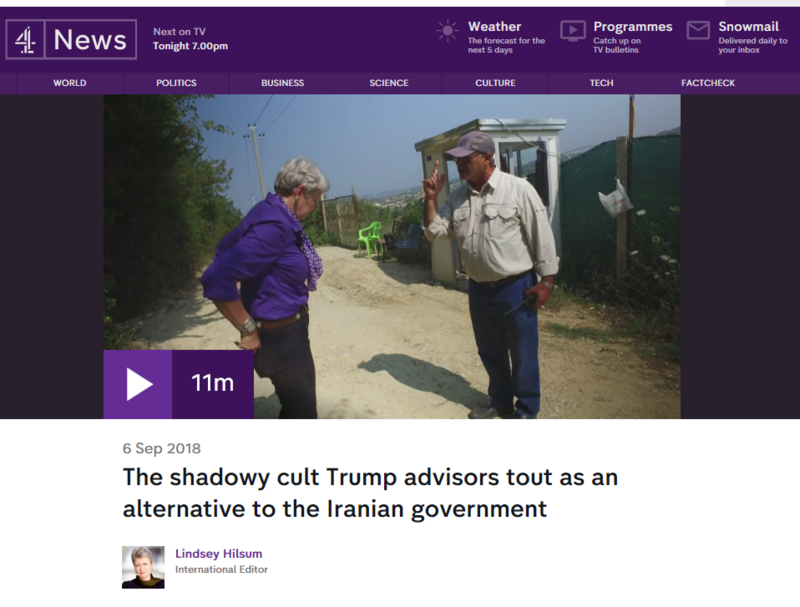 On August 10th, British journalist Lindsey Hilsum of Channel 4 went outside the Manez complex to document its existence and was physically attacked by some members of the Mek. 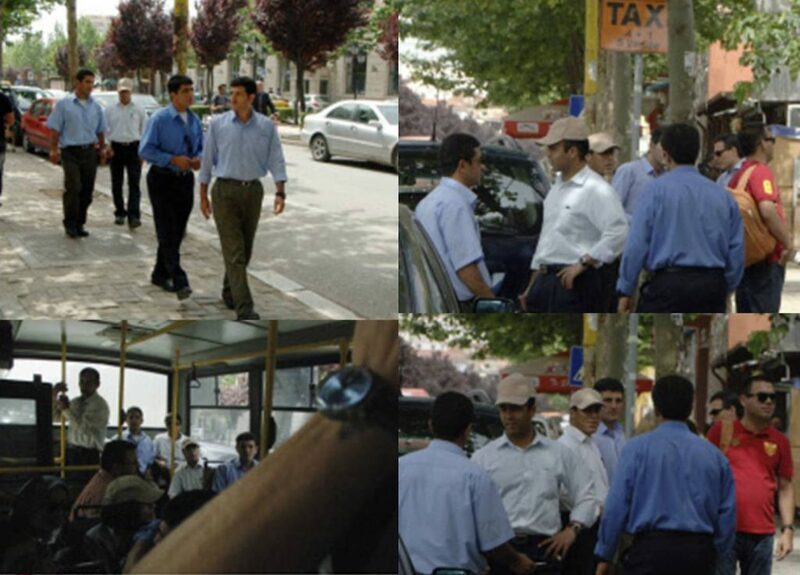 According to reports from the Albanian media, some witnesses said that security guards tried to tear and break the crew camera while some members of the Mek hit Hilsum and took their chaperone by the neck. At that point, Albanian police officers arrived on the spot and stopped the attack and accompanied the two assaulted men to the barracks. Later, a spokesman for the Mek told the Albanian media that British journalists are in contact with the Iranian secret services and that they had not been advised of their arrival. 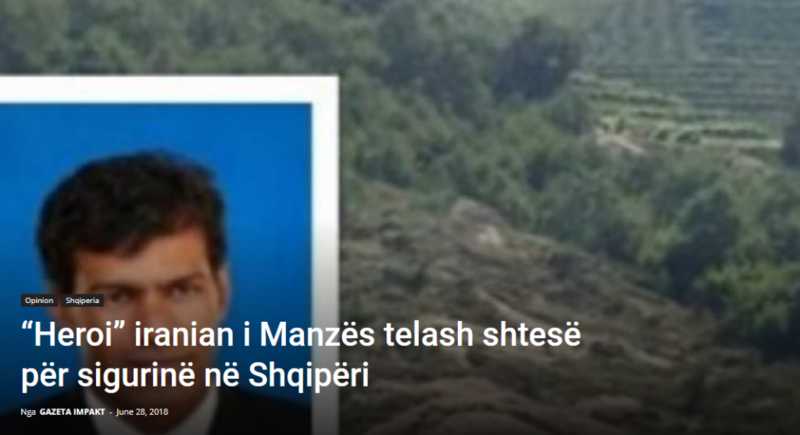 Another case that is doing a lot of discussion in Albania is that of Mostafa Mohammadi, father of 38-year-old Somaya, who left home when he was 16 together with a militant woman from the Mek. 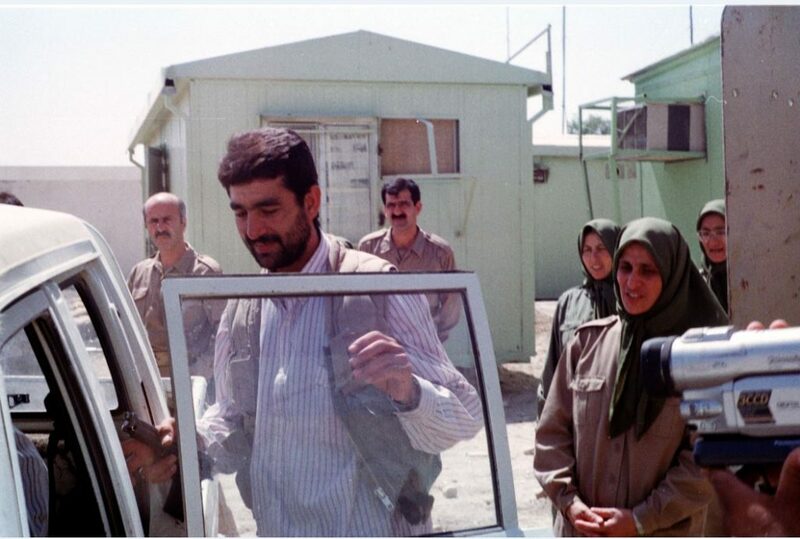 Mostafa explained that he had immigrated to Canada with his family in 1994 and entered the orbit of the Mek, helping them raise funds but in the meantime the organization would brainwash his sister, convincing her years later to move to Iraq, Camp Ashraf, to fight the Iranian regime. She die on the spot during military attacks or could have been executed if arrested. Years later a Mek militant would have approached his daughter Somaya, telling her that they have met her aunt (with whom the girl had a close relationship) and that she would like to show her where she had been and what she had done. So the they went off on a journey that only lasted two weeks but Somaya never returned home, cutting all contacts with her family. 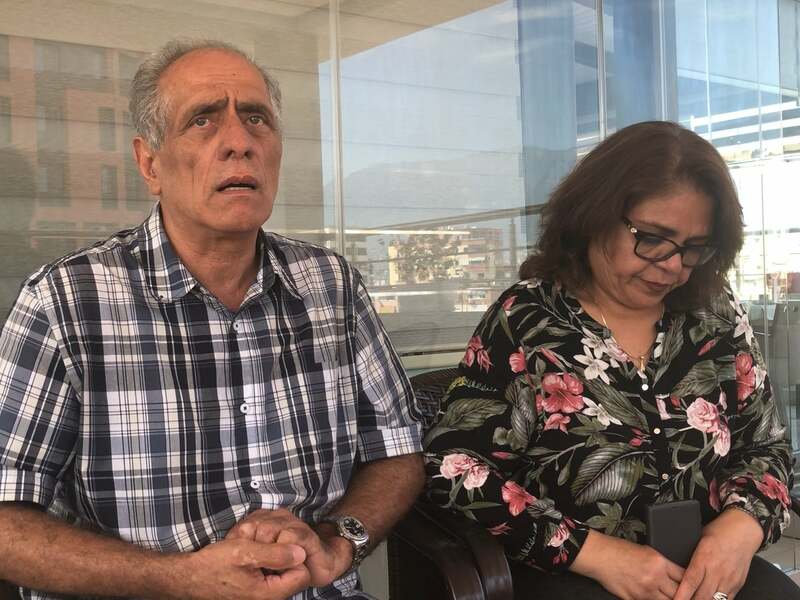 Last July Mostafa Mohammadi went to Tirana to try to raise the case and get in touch with his daughter, which he said was held against her will in the Manez headquarters and accused some members of the Mek of attacking him , as reported by Shqiptarija and Gazeta Impakt who also published a video. The Canadian, Iraqi and Albanian judiciary have however expressed themselves against Mohammadi’s accusations, declaring that the girl is voluntarily a member of the organization and being an adult, she is able to make her own decisions in autonomy and freedom. 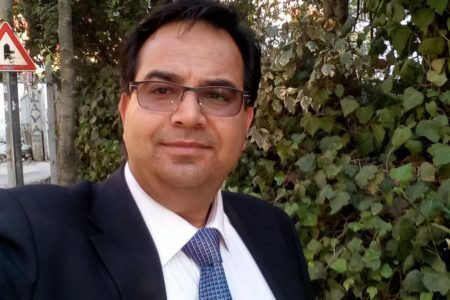 On 25 July 2018 Somaya released an interview where he rejected the accusations made by his father, claiming to be a voluntary member of the Mek and accusing his father of collaborating with the Iranian secret services. A controversial case whose dynamics are still unclear. 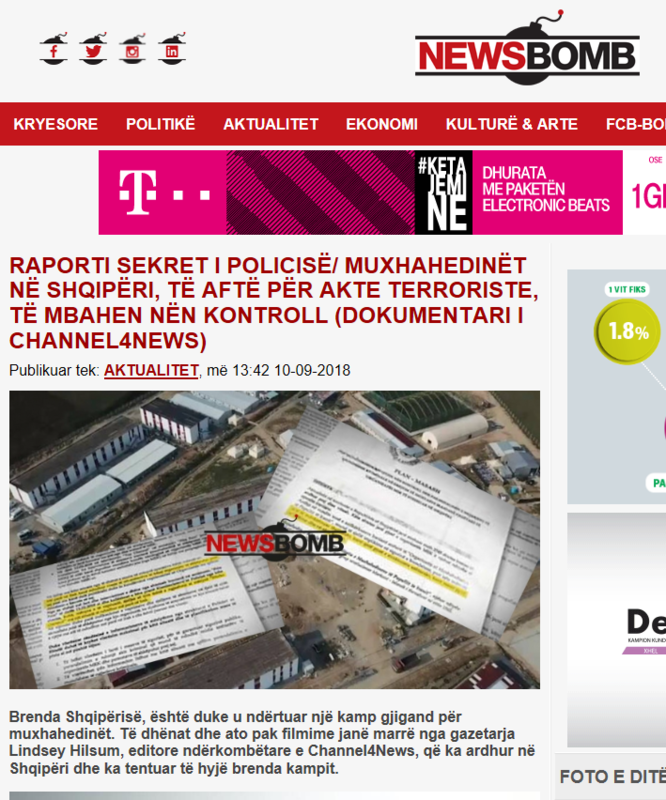 The Albanian investigative program Fiks Fare managed to get in touch with three of the 200 dissidents who have fled from the MEK in Albania and interviewed them, as also reported by thePrishtina Post. All three confirmed that the mujahideen housed in the camp are all well-trained fighters and that it is strictly forbidden to maintain contact with their families. The first interviewed, Sadolah Seifi, explained that he was born in 1969 and that he joined Mek voluntarily at 21 for economic reasons. 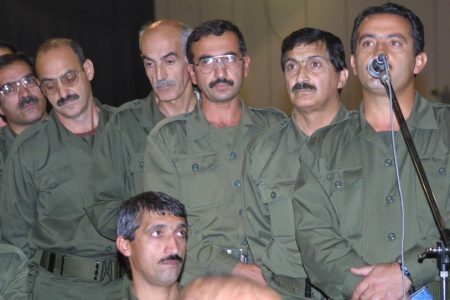 Seifi explained that initially the Mek speaks of freedom, but in fact it is “a frightening organization” with many agents who force their followers to do what the leader says, and it is strictly forbidden to have a family. According to Seifi the main problem of those who would like to leave the Mek is that in Albania they do not have a status, they cannot work and they do not have money to live. 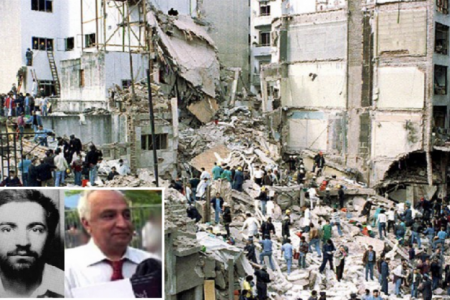 The second interviewee, Ehsan Bidi, confirmed the military preparation of the mujahidin, adding that he learned a lot about weapons and their use; Bidi also claimed that the Mek at the time sent men in to Iran to place bombs and conduct terrorist acts. The third interviewee, Manuchehr Abdi, 55 years of which 13 years with the Mek, pointed out that in Albania the organization is trying to reconstruct the same context that was present in the Iraqi base. On military training Abdi said: “When I was part of the organization I was a member of a group that virtually connected with young people in Iran and taught them to fight, because we need to know that everyone in this organization knows how to fight to kill, we are militarily prepared we know everything about weapons “. Regarding the family context, the interviewee made it clear that visits to his family were forbidden in Camp Ashraf and that he himself could not have contact with his daughter. A situation that is also present in Albania following agreements with the Tirana government. What is the Mek then? 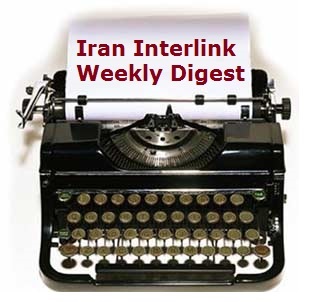 A group of dissidents and persecuted by the Iranian regime? A sectarian force of opposition composed of militarily trained elements ready to overthrow the regime? A terrorist organization? 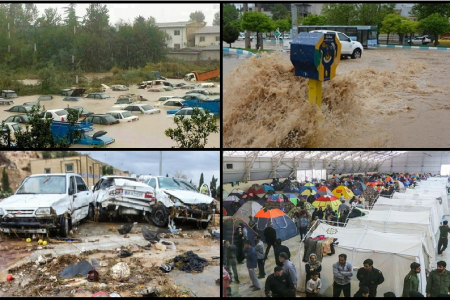 (According to what was stated by Tehran). 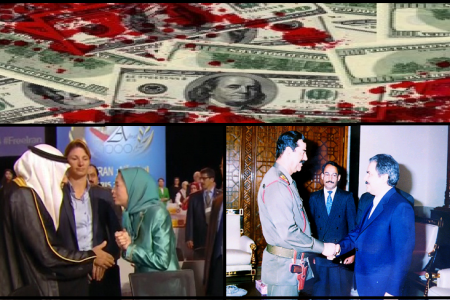 Where do the Mek funding come from? 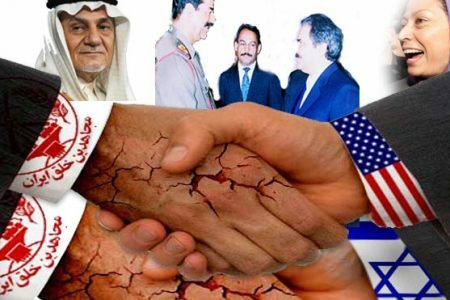 In geopolitics it is known that an organization can be considered “terrorist” or “resistance movement” based on the interests of those who support it and have seen it with many other organizations, from the Muslim Brotherhood to Hizbullah, from the PLO to the “resistance” “Syrian. What is certain is that it is difficult to combat terrorism when we cannot even find a universally shared definition of the term. Lo scorso febbraio gli Occhi della Guerra avevano trattato il trasferimento in Albania di 3500 mujahideen del Mek precedentemente stazionati in una base nei pressi di Baghdad. Si era tra l’altro fatto riferimento a un vero e proprio quartier generale in costruzione a Manez, nei pressi di Durazzo; oggi emergono ulteriori elementi d’interesse che sembrano confermare il progetto ed anche molto altro, ma andiamo con ordine. L’organizzazione Mek nasceva nel 1963 in Iran con l’obiettivo di opporsi all’influenza occidentale nel Paese e di combattere il regime dello Shah. Nel 1979 il Mek partecipava alla Rivoluzione guidata da Khomeini ma l’ideologia divulgata, un incrocio di marxismo, femminismo e islamismo, si scontrava con quella degli Ayatollah e veniva messo al bando. Nel 1981 il Mek si trasferiva a Parigi dove fondava il proprio quartier generale e cinque anni dopo si spostava a Camp Ashraf, a nord di Baghdad, da dove supportava la guerra di Saddam Hussein contro l’Iran ed anche la repressione dei curdi. Nel 2003 il Mek veniva disarmato dagli americani e spostato a Camp Liberty. 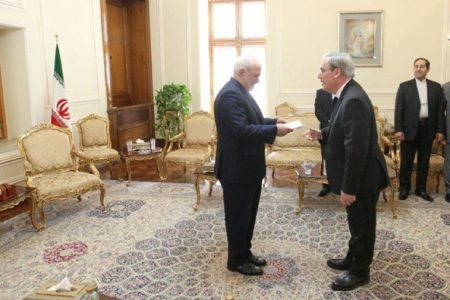 Il Mek ha continuato a svolgere un ruolo di primo piano nell’attività politica e diplomatica contro il regime di Teheran e continua a farlo ancora oggi. In precedenza l’organizzazione era inserita nella lista nera non solo da Iran e Iraq, ma anche da Unione Europea, Gran Bretagna, Usa e Canada, per poi venire “sdoganata” tra il 2008 e il 2012. Un articolo del New York Times del 21 settembre 2012 illustrava come l’allora Segretario di Stato, Hillary Clinton, avesse deciso di sdoganare il Mek , facendolo togliere dalla “black list” per poterlo poi ricollocare lontano dalla portata degli agenti di Teheran, in un Paese disposto ad accoglierli, in questo caso l’Albania. L’obiettivo appare più che evidente: utilizzare il Mek per sostenere un cambio di regime a Teheran. Ma perché proprio in Albania? Che sia un “pegno” da pagare per l’ingresso in Europa e nella Nato? Oggi è Maryam Rajavi a guidare il Mek dopo la misteriosa scomparsa del marito Massoud che coincide con l’invasione americana dell’Iraq nel 2003. Alcune fonti parlano di un possibile decesso mentre altre affermano che l’ex leader si sarebbe nascosto per sfuggire agli agenti di Teheran. Il Mek ha incassato il supporto di diversi esponenti politici internazionali tra cui l’ex sindaco di New York Rudolph Giuliani, l’ambasciatore americano all’Onu John Bolton ed Emma Bonino in veste di vice-presidente del Senato, nel giugno del 2012. Il New York Times faceva notare che diversi esponenti del Congresso erano divenuti convinti sostenitori del movimento che, se una volta era marxista-islamista, si è poi ricreduto trasformando la propria lotta e diventando il principale movimento organizzato contro la teocrazia iraniana. Sempre secondo il quotidiano newyorchese, tra i sostenitori del Mek ci sarebbero R. James Woolsey e Porter J. Goss, ex direttori della Cia; Louis J. Freeh, ex direttore dell’Fbi; Tom Ridge, ex segretario della Homeland Security sotto la presidenza George W. Bush; il procuratore generale Michael B. Mukasey e il consigliere per la sicurezza nazionale, il Generale James L. Jones, operativo sotto l’amministrazione Obama. Nell’ultimo anno sono state diverse le prese di posizione a favore del Mek da parte di esponenti del panorama politico nazionale e internazionale. A metà settembre una delegazione ufficiale del Partito Radicale Italiano e dell’associazione “Nessuno tocchi Caino” ha visitato il quartier generale dei mujahidin in Albania. La delegazione includeva Elisabetta Zamparutti, Sergio D’Elia, Rita Bernardini, Mattia Moro, Maria Antonietta e Luca Coscioni; fonti albanesi dichiarano che i membri del Mek avrebbero fornito un resoconto delle violazioni dei diritti umani messe in atto dal regime di Teheran. Lo scorso 30 giugno era invece stato l’ex ministro degli esteri del governo Monti, Giulio Terzi, a parlare a una riunione del Mek dove, davanti a migliaia di manifestanti anti-Teheran aveva annunciato il suo “appoggio incondizionato al Mek ”, definendo i suoi militanti “combattenti per la libertà” (freedom fighters) e affermando che “un’ampia parte della società italiana è convinta che stare dalla vostra parte significa stare dalla parte giusta della storia”. Il discorso per intero veniva pubblicato dal sito del Mek e può essere visualizzato qui. Anche l’ex sindaco di New York, Rudolph Giuliani, nel 2018 si è espresso almeno in un paio di occasioni a favore del Mek con affermazioni del tipo: “Il popolo iraniano ne ha avuto abbastanza di questo regime che sarà rovesciato…Non abbiamo alcun dubbio che la coalizione del Mek possa far fronte a questo regime”. 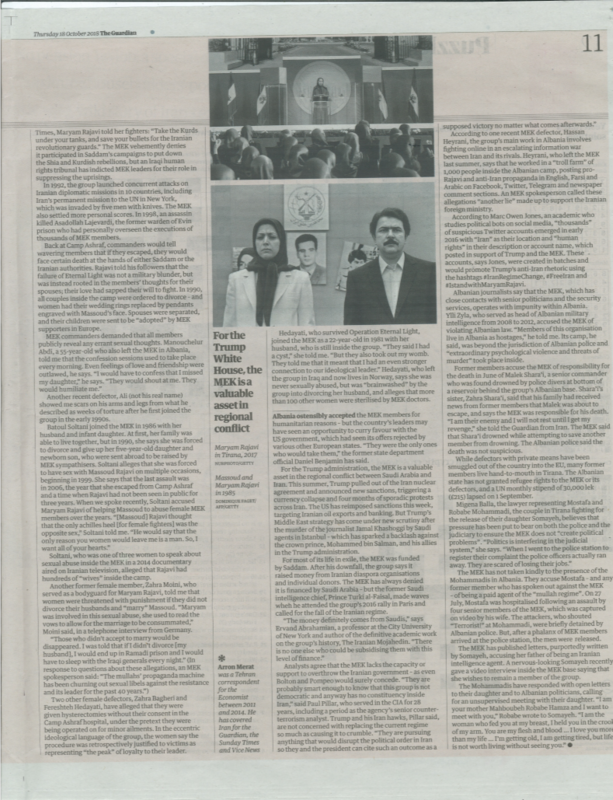 E ancora: “I mullah se ne devono andare, gli ayatollah se ne devono andare e devono essere rimpiazzati da un governo democratico che la signora Rajavi rappresenta”, come riportato dal Guardian. Insomma, un ennesimo tentativo di rovesciamento di governo per esportare la “democrazia”, un film già visto e rivisto. Lo scorso 26 settembre il giornalista albanese Kastriot Myftaraj, durante la trasmissione televisiva “Ju flet Moska”, aveva criticato le recenti invocazioni alla rivolta in Iran fatte dalla leader del Mek, Maryam Rajavi, tirando in ballo l’articolo 221 del codice penale albanese che punisce l’incitamento all’insurrezione con pene che vanno dai 15 anni in su. Andrebbero poi presi in considerazione anche gli articoli 265 b/c del codice penale albanese che proibiscono il coinvolgimento in operazioni militari e azioni violente in Paesi esteri. Numerose fonti internazionali hanno documentato la presenza di un grande complesso nei pressi del villaggio albanese di Manez che funge da base mondiale del Mek, complesso già abitato anche se tutt’ora in fase di completamento. Diversi reporter locali hanno testimoniato la presenza di guardie armate private all’esterno del complesso, barriera e ulteriori guardie disarmate all’interno. “Il Consiglio dell’Organizzazione del Territorio (Keshilli i Rregullimit te Territorit) ha la responsabilità per l’emissione dei permessi per la costruzione di opere pubbliche e di edifici privati (fabbriche, hotel, scuole, strade ecc). Questo Consiglio aveva pubblicato un elenco dei permessi rilasciati per una serie di opere e tra queste ne figurava uno nei confronti di una ONG denominata F.A.R.A. 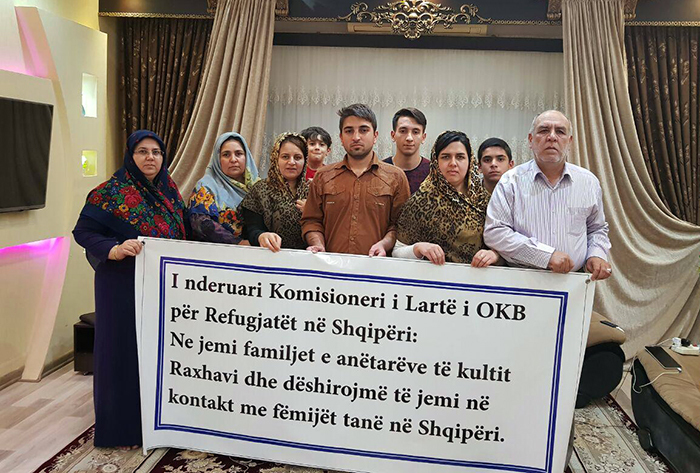 Il permesso era del 16 ottobre 2017 e indicava l’autorizzazione per “un complesso residenziale e servizi per la comunità iraniana in Albania”. A quel punto ho indagato su questa F.A.R.A che, stranamente e contrariamente alla legge albanese, non risultava registrata presso l’Ufficio delle Imposte e non aveva neanche una partita Iva, cosa vietata in Albania. Ho allora proseguito l’indagine presso l’ufficio urbanistico del comune di Durazzo (che conosco molto bene avendo vissuto qui per 52 anni); là mi mostravano una richiesta scritta della F.A.R.A. nella quale veniva chiesto il permesso per la creazione di un cantiere (recinto, collegamenti d’acqua, elettricità, container ecc.) ed emergeva che il Municipio non aveva rilasciato alcun permesso. La lettera di richiesta non aveva un’intestazione, non era presente alcun indirizzo o recapito telefonico. A questo punto mi sono recato a Manez (nella prima settimana di novembre 2017) per vedere cosa stava succedendo e mi sono trovato davanti a un recinto finito, a una rete elettrica già installata, e a dei canali in costruzione, per la rete idrica. C’era anche un container con degli uffici all’interno della recinzione. Intorno al cantiere c’erano guardie e anche tre agenti con la divisa della Polizia di Stato”. Il sito sarebbe stato localizzato precisamente tra i villaggi di Kulles e Manez e-Vieter, con ingresso sulla strada Rruga Lalezit e del complesso esistono diverse immagini aeree e filmati. Lo scorso 10 agosto la giornalista britannica Lindsey Hilsum di Channel 4 si era recata all’esterno del complesso di Manez per documentarne l’esistenza e veniva fisicamente aggredita da alcuni membri del Mek. Secondo quanto riportato dai media albanesi, alcuni testimoni hanno dichiarato che le guardie di sicurezza hanno cercato di strappare e rompere la videocamera della troupe mentre alcuni membri del Mek hanno colpito la Hilsum e preso per il collo il suo accompagnatore. A quel punto sono giunti sul posto degli agenti della polizia albanese che hanno fermato l’aggressione e hanno accompagnato in caserma i due aggrediti. In seguito un portavoce del Mek ha dichiarato ai media albanesi che i giornalisti britannici sono in contatto con i servizi segreti iraniani e che non erano stati avvisati del loro arrivo. Un altro caso che sta facendo molto discutere in Albania è quello di Mostafa Mohammadi, padre della 38enne Somaya, andatasene da casa quando ne aveva 16 assieme a una donna militante del Mek. Mostafa spiegava di essere immigrato in Canada con la famiglia nel 1994 e di essere entrato nell’orbita del Mek, aiutandoli a raccogliere fondi ma nel frattempo l’organizzazione avrebbe fatto il lavaggio del cervello a sua sorella, convincendola anni dopo a trasferirsi in Iraq, precisamente a Camp Ashraf, per combattere il regime iraniano e sarebbe morta in loco, forse giustiziata. Anni dopo una militante del Mek avrebbe avvicinato la figlia Somaya, dicendole che aveva conosciuto sua zia (con cui la ragazzina aveva uno stretto legame) e che le avrebbe fatto piacere mostrarle dove era stata e cosa aveva fatto. Le due sono così partite per un viaggio che doveva durare soltanto due settimane ma Somaya non ha fatto più rientro a casa, interrompendo tutti i contatti con la propria famiglia. Lo scorso luglio Mostafa Mohammadi si è recato a Tirana per cercare di sollevare il caso ed entrare in contatto con sua figlia, a suo dire trattenuta contro la propria volontà all’interno del quartier generale di Manez ed ha accusato alcuni membri del Mek di averlo aggredito, come riportato da Shqiptarija e Gazeta Impakt che ha anche pubblicato un filmato. La magistratura canadese, quella irachena e quella albanese si sono però espresse contro le accuse di Mohammadi, dichiarando che la ragazza è volontariamente membro dell’organizzazione ed essendo maggiorenne è in grado di prendere le proprie decisioni in autonomia e libertà. Il 25 luglio 2018 Somaya rilasciava un’intervista dove rigettava le accuse lanciate da suo padre, affermando di essere volontariamente membro del Mek e accusando suo padre di collaborare con i servizi segreti iraniani. Un caso controverso le cui dinamiche sono ancora poco chiare. 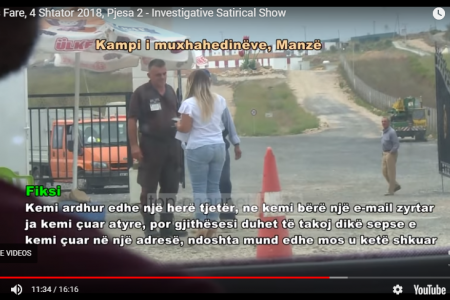 Il programma investigativo albanese Fiks Fare è invece riuscito a mettersi in contatto con tre dei circa 200 dissidenti fuggiti dal MEK e ad intervistarli, come riportato anche dal Prishtina Post. Tutti e tre hanno confermato che i mujahideen ospitati nel campo sono tutti combattenti ben preparati alla guerriglia e che è severamente vietato mantenere contatti con le proprie famiglie. Il primo intervistato, Sadala Sefi, ha spiegato di essere nato nel 1969 e di essere entrato a far parte del Mek volontariamente a 21 anni per motivi economici. 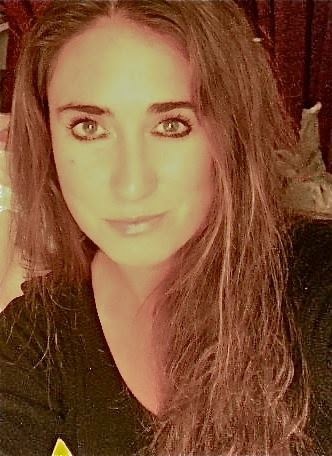 Sefi spiegava che inizialmente il Mek parla di libertà, ma nei fatti è “un’organizzazione spaventosa” con tanti agenti che obbligano i propri adepti a fare quello che dice il leader ed è severamente vietato avere una famiglia. Secondo Sefi il problema principale di chi vorrebbe uscire dal Mek è che in Albania non hanno uno status, non possono lavorare e non hanno soldi per vivere. Il secondo intervistato, Hasan Bidi, ha confermato la preparazione militare dei mujahidin, aggiungendo di aver imparato molto su armi e loro utilizzo; Bidi ha inoltre affermato che il Mek a suo tempo infiltrava uomini in Iran per piazzare bombe e condurre assalti. Il terzo intervistato, Manucer Habdi, 55 anni di cui 13 nel Mek, ha puntualizzato che in Albania l’organizzazione sta cercando di ricostruire il medesimo contesto che era presente nella base irachena. 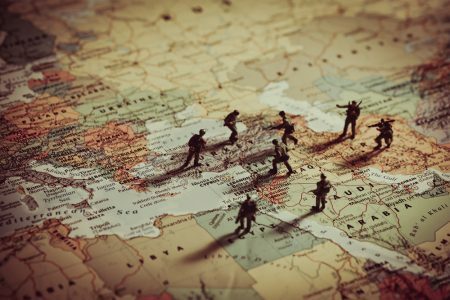 Sulla preparazione militare Habdi ha affermato: “Quando facevo parte dell’organizzazione ero membro di un gruppo che virtualmente si collegava con giovani in Iran e insegnava loro a combattere, perché bisogna sapere che tutti in questa organizzazione sanno come combattere per uccidere, siamo preparati militarmente, sappiamo tutto sulle armi”. Per quanto riguarda l’ambito familiare, l’intervistato ha reso noto che a Camp Ashraf erano proibite le visite dei familiari e che egli stesso non ha potuto avere contatti con sua figlia. 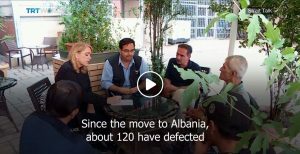 Una situazione che è presente anche in Albania in seguito ad accordi presi con il governo di Tirana. Cos’è dunque il Mek? Un gruppo di dissidenti e perseguitati dal regime iraniano? Una forza di opposizione settaria composta da elementi militarmente addestrati e pronti a rovesciare il regime? Un’organizzazione terroristica? (Secondo quanto affermato da Teheran). Da dove arrivano poi i finanziamenti al Mek? In geopolitica è noto come un’organizzazione possa essere considerata “terroristica” o “movimento di resistenza” in base agli interessi di chi la cataloga e lo si è visto con tante altre organizzazioni, dai Fratelli Musulmani a Hizbullah, dall’Olp alla “resistenza” siriana. Certo è che risulta difficile combattere il terrorismo quando non si riesce neanche a trovare una definizione universalmente condivisa del termine. US-Iran relations haven’t been this tense in years. The Trump administration withdrew from the 2015 Iran nuclear deal in May – and last month, levelled threats against Tehran at the UN General Assembly. But caught between all this is a group based in Albania with a mission to overthrow the Iranian government. The MEK, previously in Iraq, now operates out of a military compound near the capital Tirana. Our Courtney Kealy went there to get a glimpse.